The Quakers won their first sectional championship since 2004 after defeating four-time defending champion Ocean City High School last Thursday. Moorestown celebrates as they are presented with the championship trophy after winning the South Jersey Public Group B title. 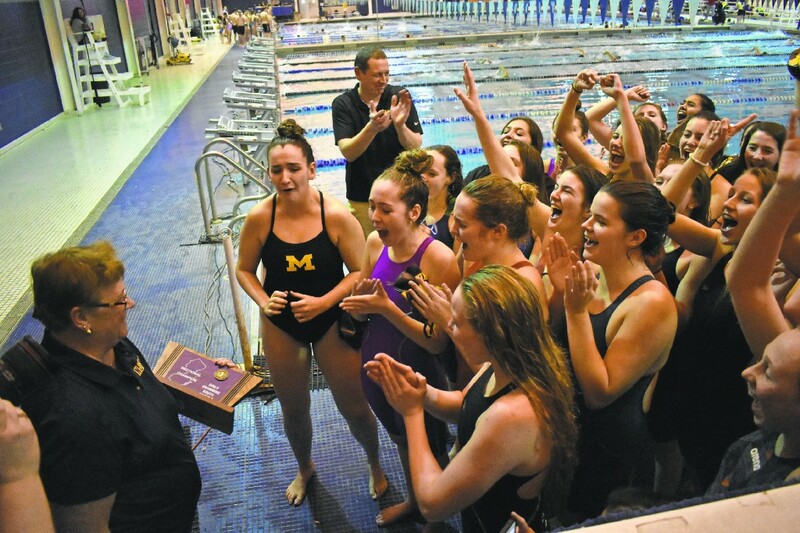 In just one hour, Moorestown High School girls swimming was able to vanquish three years of frustration and heartbreak. In 2015, 2016 and 2017, the Quakers advanced to the South Jersey Public Group B sectional championship, only to be stopped in their tracks by Ocean City High School. Last Thursday, Moorestown finally broke through, defeating Ocean City, 99–71, and winning the program’s first sectional title since 2004. The victory also ended Ocean City’s four-year reign atop South Jersey Public Group B. 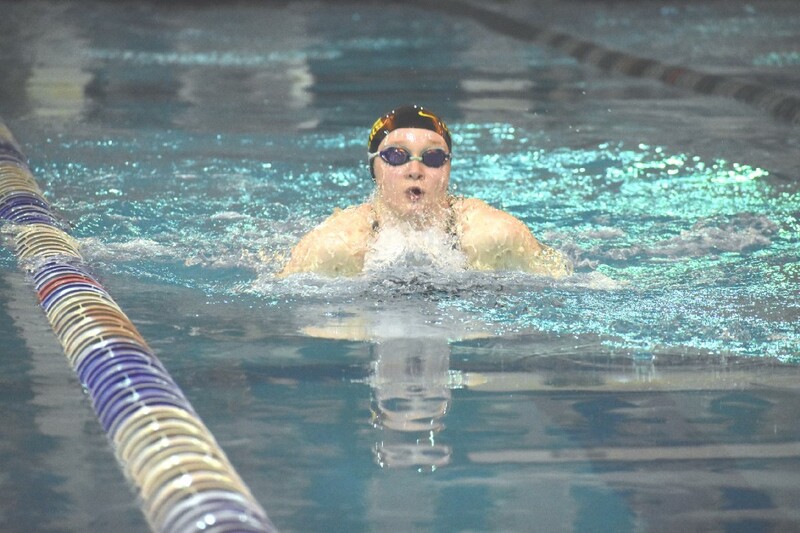 The Quakers entered the meet with a ton of confidence, especially after finishing ahead of Ocean City at the South Jersey Interscholastic Swimming Association Coaches’ Invitational in January. The team used its knowledge of Ocean City’s swimmers and past sectional final experience to their advantage. Left: Holly Robinson leads the pack in the 100-yard butterfly. Right: Ann Wixted takes an early lead in the 100-yard breaststroke. The team also wanted to bring a ton of energy into the pool for the start of the meet. The Quakers jumped out to an early lead with strong performances in the medley relay and 200-yard individual medley. The Quakers continued to add to their lead late, getting 12 points in the 500-yard freestyle thanks in part to a winning time of 5:09.96 from freshman Alexandra Waggoner. 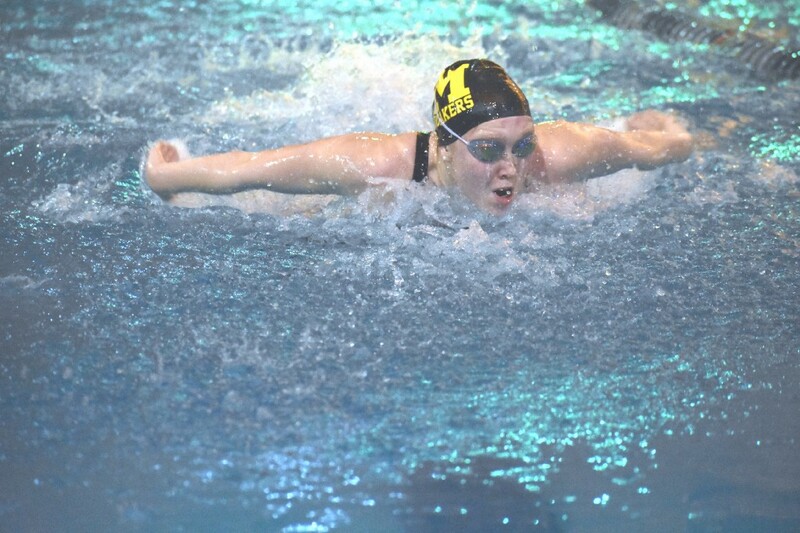 Three events later, Moorestown clinched the victory when it swept the top three spots in the 100-yard breaststroke. Wixted won the event with a time of 1:06.21 and was followed by Annabel Gorman and Teagan Powell in second and third place, respectively. Senior Kaitlyn Levinson credited Battersby with creating a solid game plan and giving the team confidence after three years of defeat. “Our coach definitely gave us a lot of confidence, gave us a lot of training to get where we are now,” she said. Battersby felt the championship was a result of the team’s resiliency and hard work, especially for the seniors. Left: Moorestown celebrates with the championship trophy after winning the South Jersey Public Group B title. 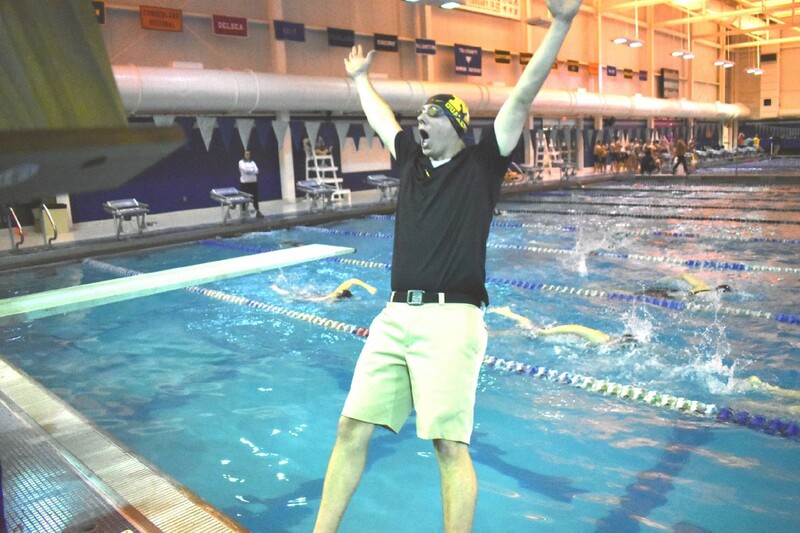 Right: Moorestown head coach John Battersby takes a celebratory jump into the pool after the Quakers won their first sectional title in 14 years. The sky is the limit now for Moorestown as it advanced to the state level. 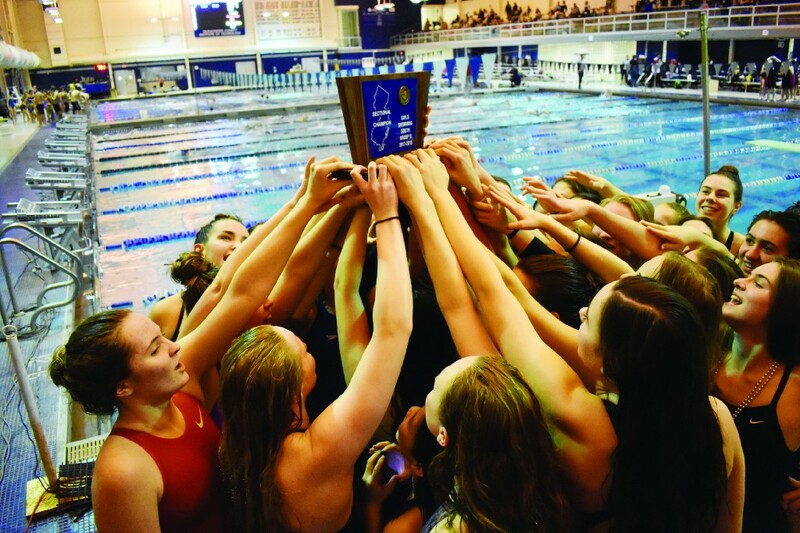 While the sectional title is something the swimmers will always remember, the seniors aren’t content with settling for a South Jersey championship. “We want to carry this momentum into states,” senior Paige Coleman said. “This isn’t the last of us,” Wixted added.